Capri  PORTION of COTTAGE with PRIVATE ACCESS to MARINA PICCOLA FARAGLIONI ROCKS Located in the most exclusive area of the island of Capri, in a privileged context for location, exposure and access to the sea, offer for Sale, out of square of Marina Piccola, portion of an exclusive Villa, panoramic sea view with private access to the beach of Marina Piccola. 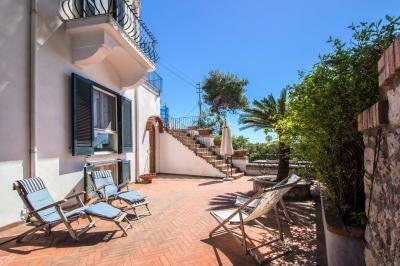 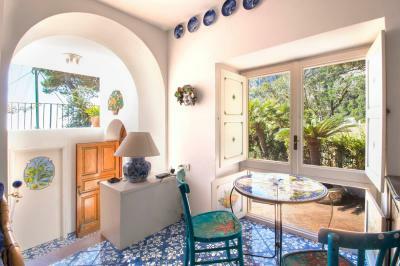 The property, in the style of Capri, develops about 110sqm covered and external 140sqm on two levels: on the ground, through one of two entry doors we find ourselves on the large garden terrace, which, thanks to its excellent exposure and the surrounding greenery remains bright and at the same time reserved. 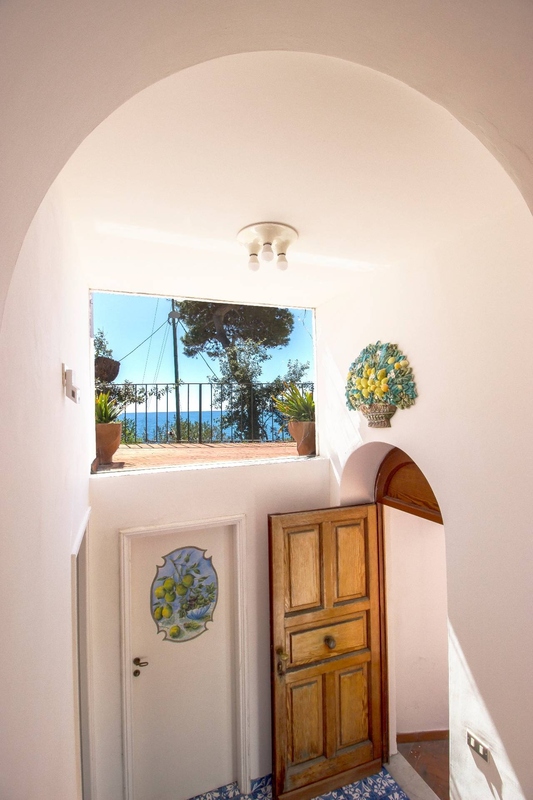 From here we can access inside, more precisely in the living area, featuring living room with large Windows overlooking the sea, comfortable kitchen with access to the terrace, bathroom, laundry and storage service for guests, private walkway which allows access to the sea and a small independent service room adjoining the kitchen. 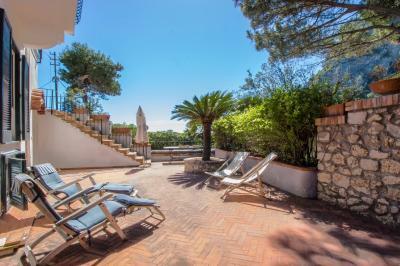 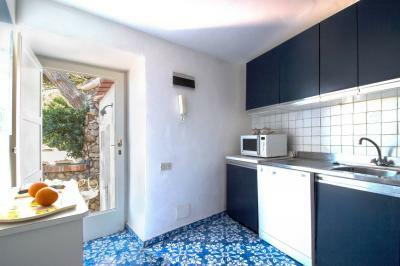 Going down to the lower floor, two double bedrooms and bright, equipped with comfortable wardrobes made to measure. In very good condition overall maintenance both internally and externally, with more work on improvements already commissioned. 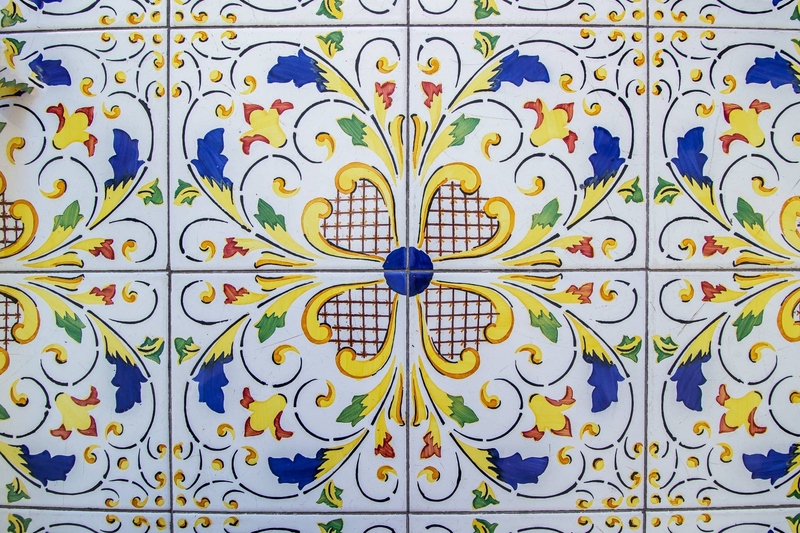 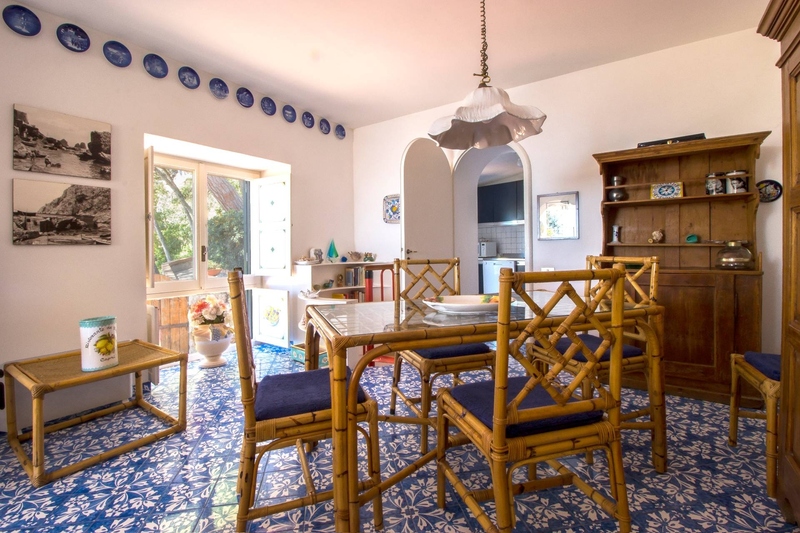 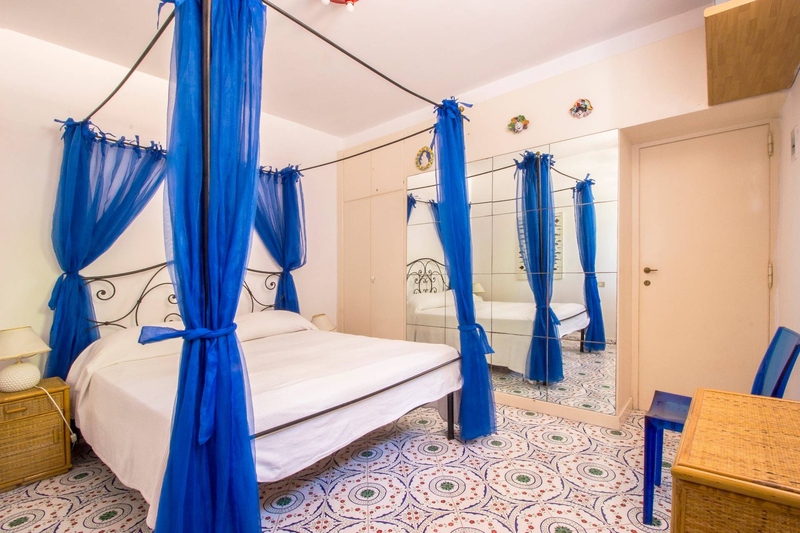 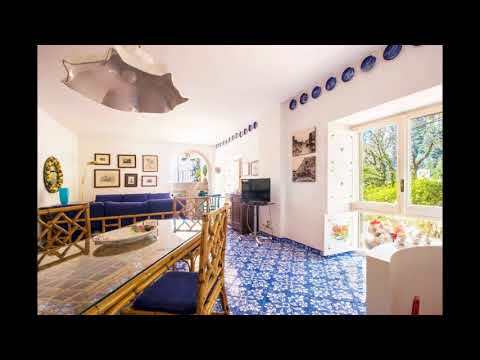 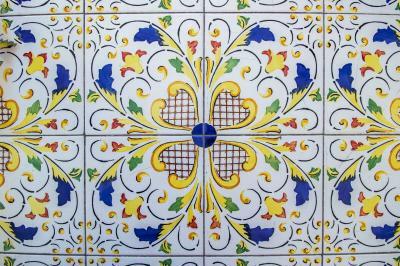 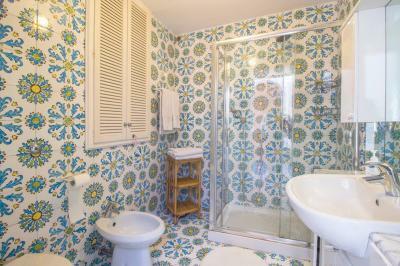 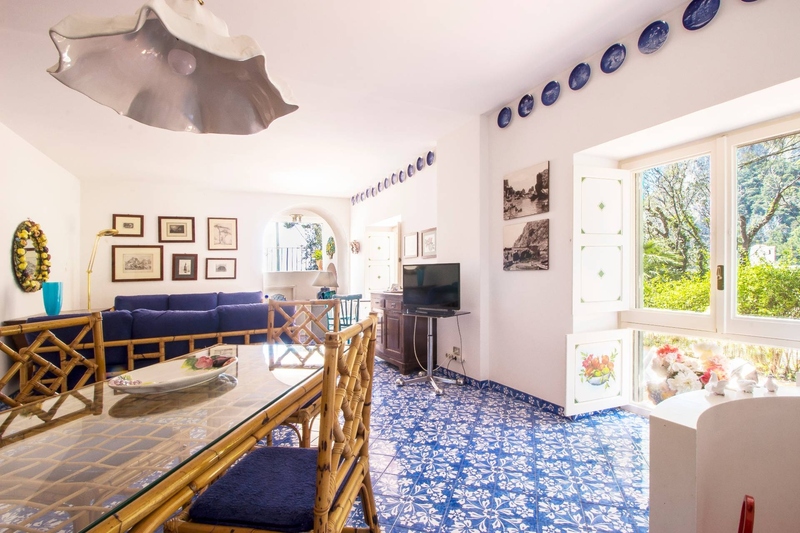 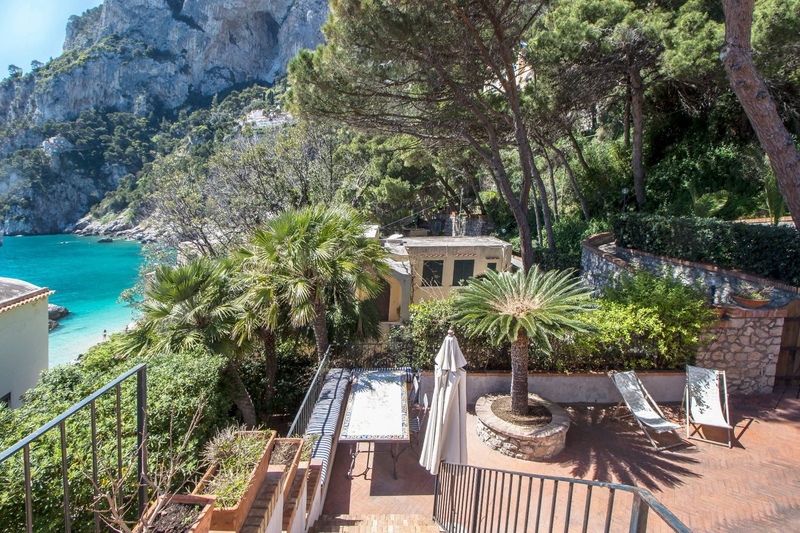 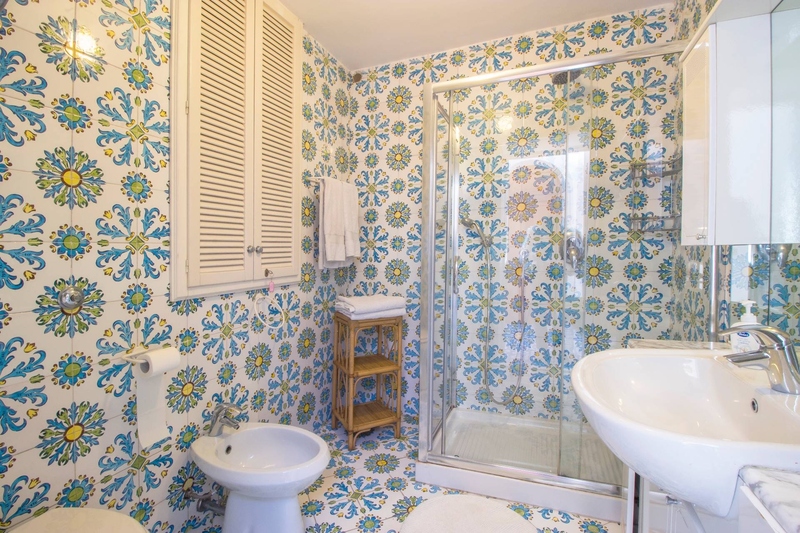 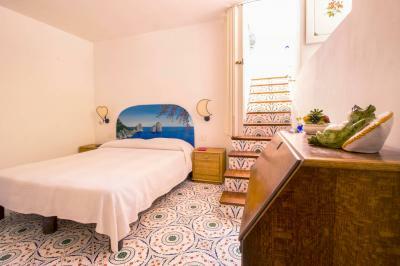 Interior characterized by typical Capri ceramic and doors decorated by local artisans. 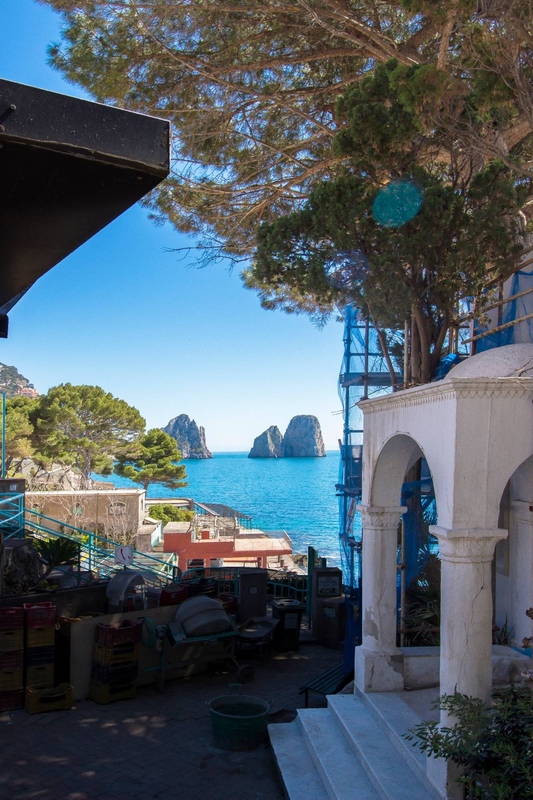 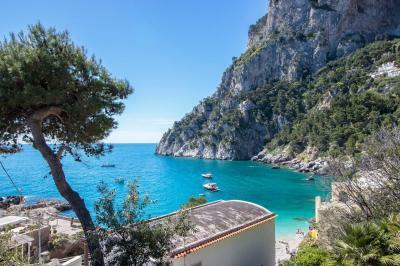 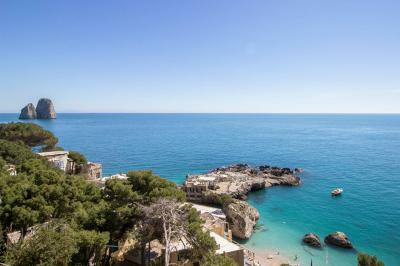 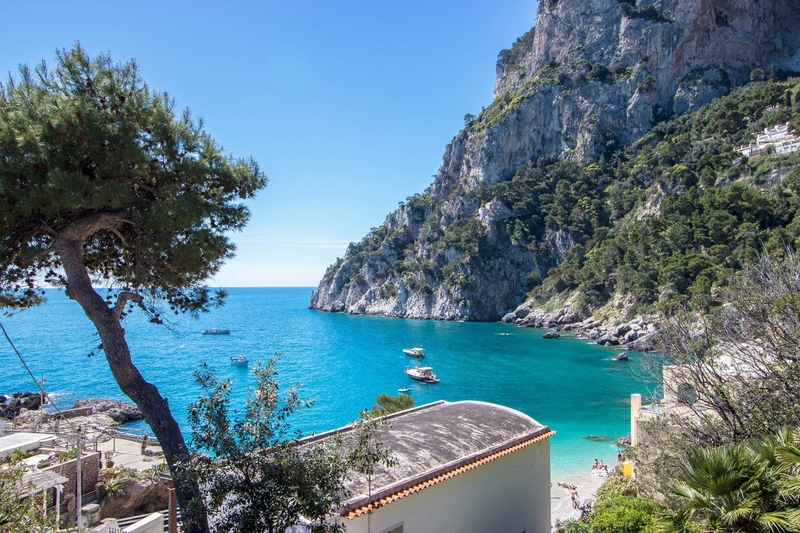 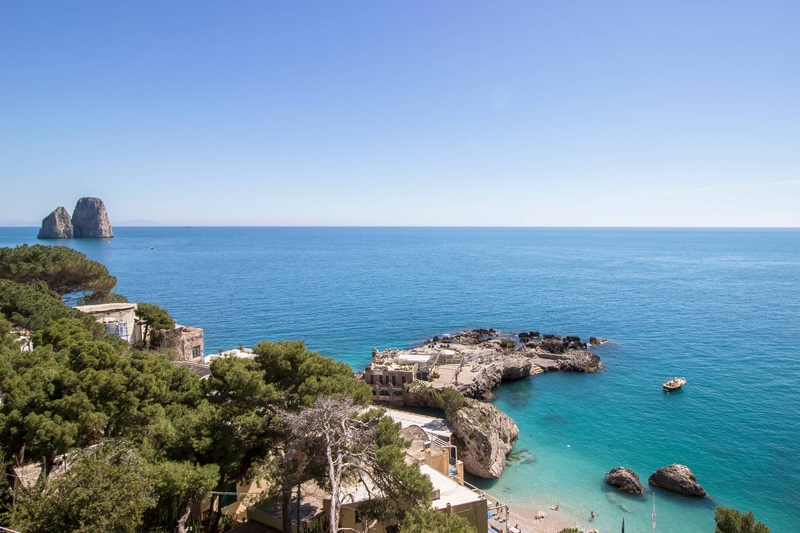 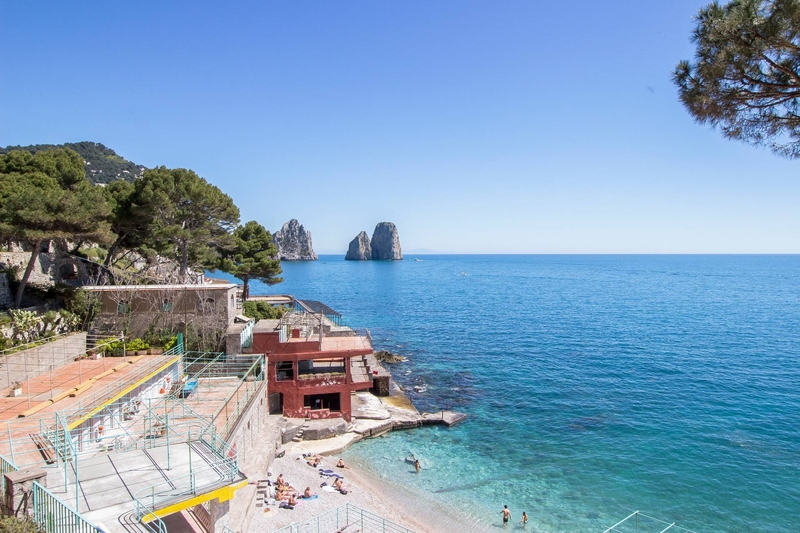 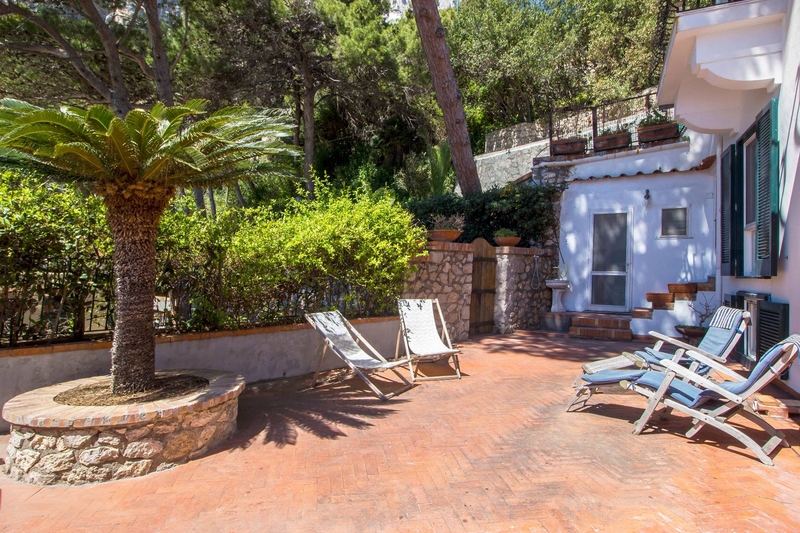 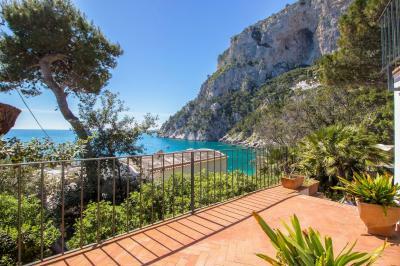 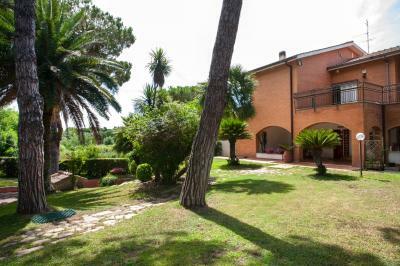 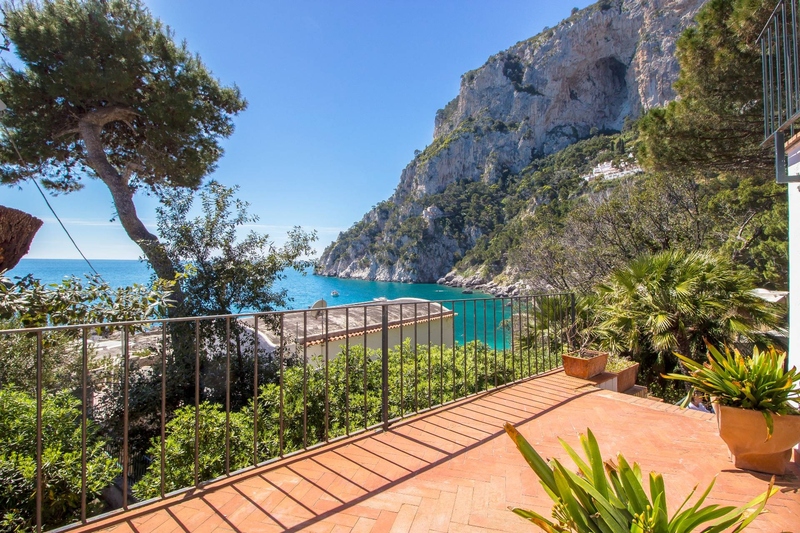 The ease of attainment by any means, the location near the sea, the confidentiality and the predominance of its views together with the inner structure that allows a versatile utitlizzo make this property unique. 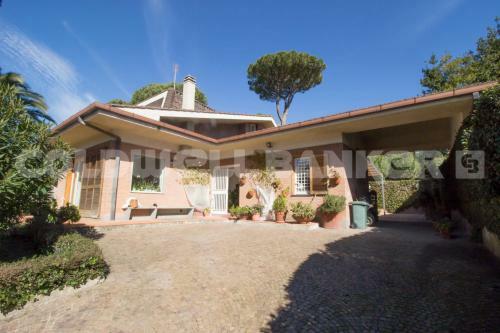 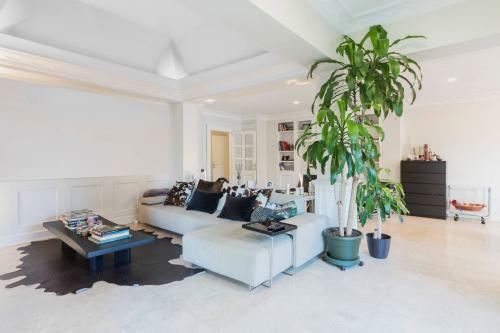 Opportunity to purchase the top portion.